Gentry Real Estate Group OFFERS A COMPREHENSIVE ARRAY OF OUTSTANDING ARIZONA REAL ESTATE SERVICES SUCH AS FORECLOSURE AUCTIONS, RESIDENTIAL RESALE, SHORT SALES. WE ALSO OFFER HOME RENTALS, AND PROPERTY MANAGEMENT. 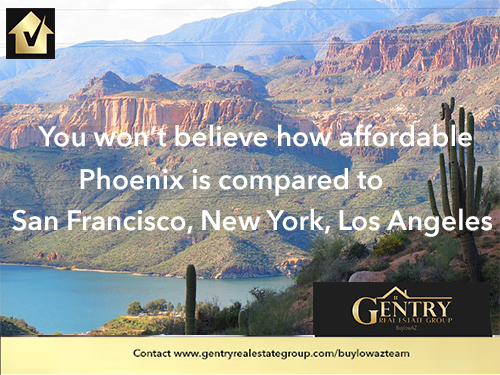 OUR TEAM SPECIALIZES IN HELPING INDIVIDUALS BUY, SELL, RENT, OR MANAGE ANY REAL ESTATE IN PHOENIX AND THE SURROUNDING AREAS. WHETHER YOU’RE ON THE LOOKOUT FOR AFFORDABLE AZ PROPERTY RENTALS OR NEED RELIABLE PROPERTY MANAGEMENT IN PHOENIX, WE HAVE THE RESOURCES AND THE KNOWHOW TO PROVIDE EXCELLENT SERVICE THROUGH AND THROUGH. IT HAS ALWAYS BEEN OUR COMMITMENT TO PROVIDE PROFESSIONAL SERVICE TO OUR CLIENTS BY ENSURING OUR AGENTS ARE UP-TO-DATE WITH THE LATEST AZ REAL ESTATE DEVELOPMENTS AND MARKET TRENDS. WE DO NOT SETTLE IN GIVING YOU ANYTHING THAT IS LESS THAN WHAT YOU NEED AND DESERVE. WE TAKE PRIDE IN THE QUALITY OF OUR SERVICES AND WORK HARD TO KEEP OUR CLIENTS SATISFIED. IF IT’S REAL ESTATE SUCCESS YOU’RE LOOKING FOR, THEN GENTRY REAL ESTATE GROUP IS THE COMPANY OF CHOICE!